The Rise Vusion 250 drone, Extreme First Person View Drone with FPV Race Pack really is something to be proud of. However, without taking time to learn all about it, you won’t be able to determine whether or not this product is for you. With those thoughts in mind, we are here, today, to tell you all about the Rise Vusion 250. This device is impressively equipped for instant FPV – so, as soon as you take it out of the box, you can fly! Before we go any further, we must let you know this important requirement. With the Rise Vusion 250, take note that you will be required to have an amateur radio (ham) license in order to operate it legally. This license comes into play when you use an FPV. Whereas some RC systems go through a certification process with the FCC, this one does not have an FCC certification. In fact, many video transmission systems that are used for FPV do not have an FCC certification – this burden is placed on the operator. Having an amateur radio license is the FCC’s way of determining that the user has had adequate training and can uphold that responsibility. Basically, anything that is over 10mW will require a ham license. However, don’t let this be your downfall – you can study and go to a volunteer examiner to take the test – if you pass, you will receive a call sign. This is the world’s first injection-molded 250-size RTF racing drone and as long as you have your ham license, you can fly it legally! It includes all essential First Person Video equipment. It includes FPV goggles along with a top of the line LCD monitor – those two things are the main components (besides the drone itself) that make for an incredibly immersive flying experience. The Extreme Race Pack, in case you don’t already know, also comes with a nice 5.8GHz video transmitter. This transmitter will give you the opportunity to monitor your flights in real time, without latency. 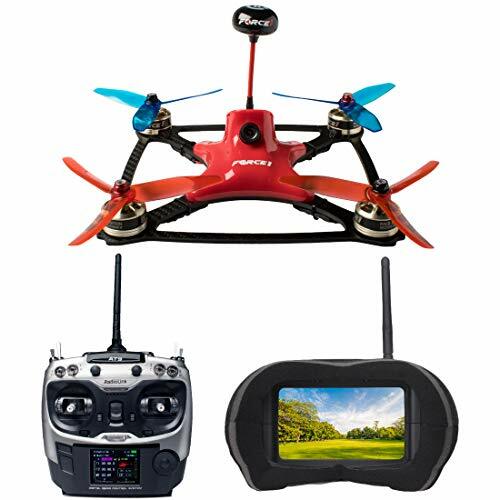 The transmitter also consists of eight Race band channels that have been specifically created for the sole purpose of FPV racing. The 600TVL FPV camera is capable of capturing every detail of the action while you’re flying in the sky. You can save the footage to your camera, or you can transfer it to a memory card, without worrying about ruining the video quality. The 6-channel radio makes it all possible to access these features while you’re flying drone. This drone has a modular airframe that is capable of surviving through most impact. If, however, you need to make a repair, that shouldn’t be too hard of a problem. Simply remove the arm, and snap on a new one and you can start flying again. You have a pretty impressive list of features, like the four brushless high-frequency ESCs with One-shot 125 programming, four 2280kV brushless motors, balancing charger, a 3S 1500mAh LiPo battery, spare props, and four AA batteries. With the Rise Vusion 250, you won’t be required to assemble or solder anything – simply take it out of the box and fly. This is the first injection molded racing drone that has been designed with FPV in mind and we believe it is a must have – if you already have a ham license, then you should be good to go! This incredible piece of RC technology has been for the time being discontinued and it is not available anywhere. Who knows maybe the creators would come back to it and give us soon a nice surprise? 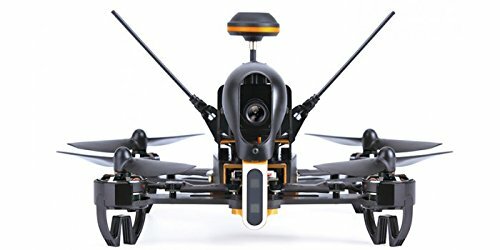 Main while check out this new racing drone which is also hitting the news and the world of drones hobbyists. The Bolt Drone comes ready to fly out of the box with no assembly or tools required and ensure the drone is safe and easy to pilot for beginners. 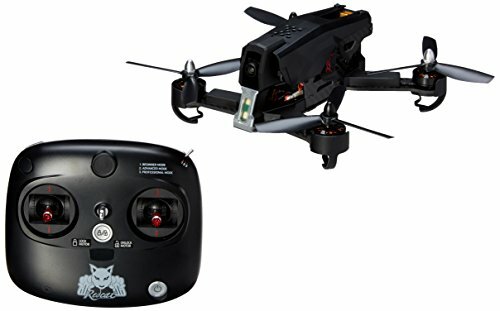 It featured an innovative FPV goggle and controller system, HD camera, altitude stabilization and a carbon fiber frame, the Bolt packs cutting edge technology at a radical price point that offers amazing value.